This Creamy Barbecue Chicken Wrap is stuffed full of fresh ingredients and slathered with creamy barbecue sauce. 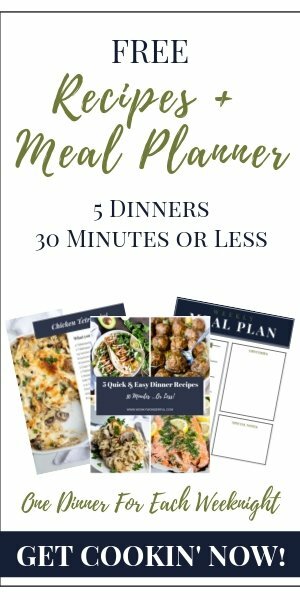 Perfect for meal prep, work lunch or even a quick dinner recipe. 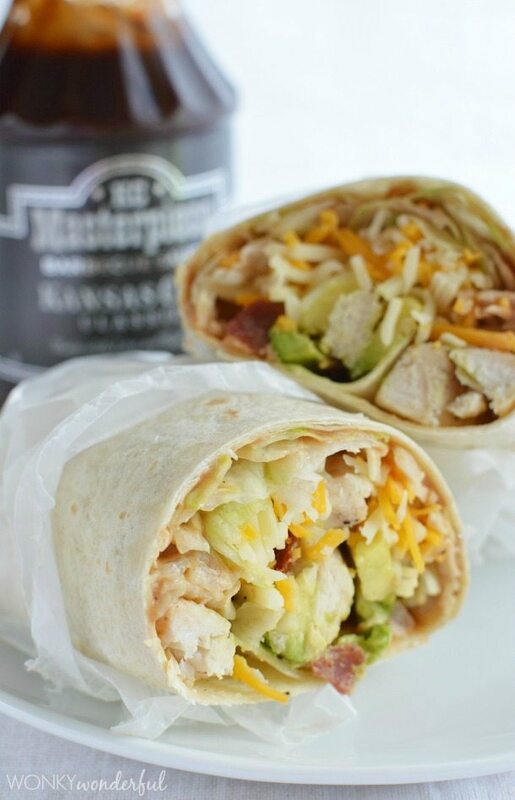 Well, you can put whatever you like in a chicken wrap. 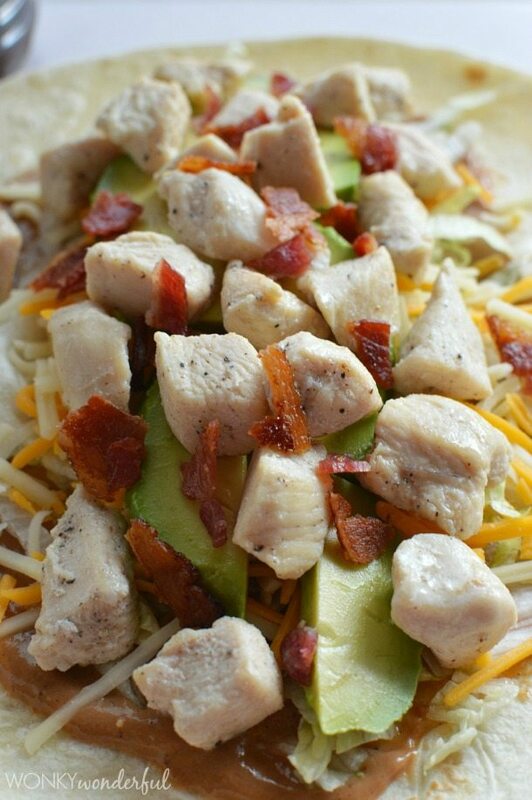 This wrap has chicken, bacon, cheese, avocado and a creamy barbecue sauce. Feel free too add or remove any ingredients to fit your tastes. That is what is so great about wraps, they are completely customizable. Absolutely! 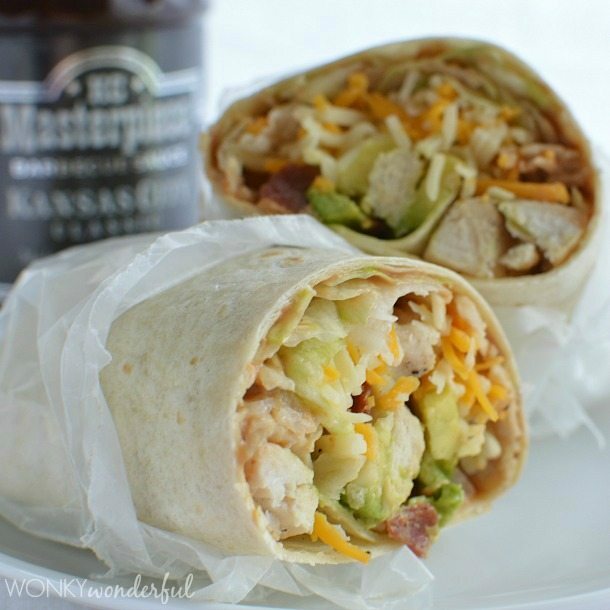 Wraps are a great lunchbox or meal prep idea. 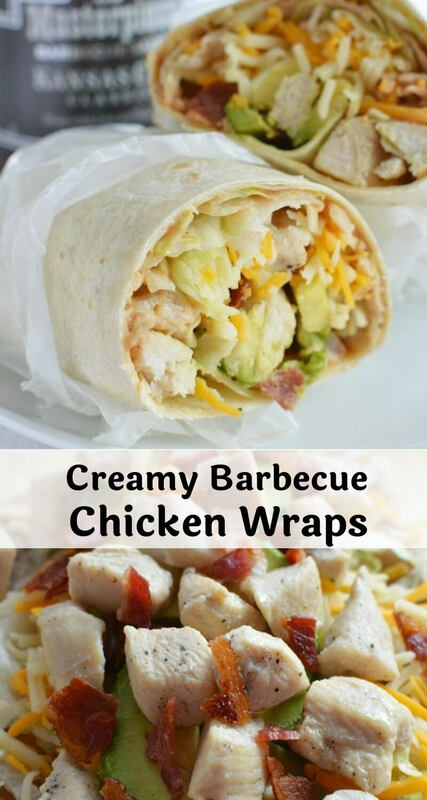 As long as there is nothing too liquidy inside the wraps should keep all day just fine. 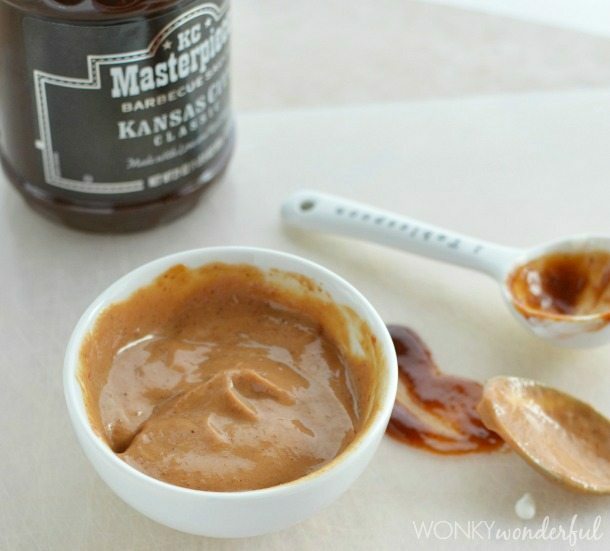 Mix barbecue sauce and Greek Yogurt. Spread half mixture onto tortilla.